Comments: OVER 20 IN STOCK 1/7/19 WE HAVE NUMEROUS COPIES. HARDCOVER. Light storage wear on cover, corners and edges. 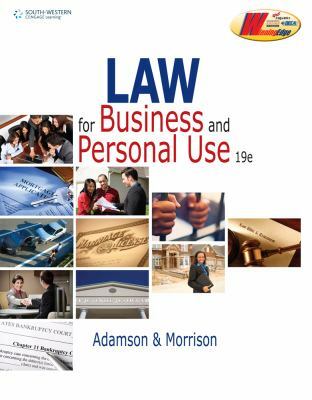 John E. Adamson is the author of 'Law for Business and Personal Use (Business Law)', published 2011 under ISBN 9780538496902 and ISBN 0538496908. Loading marketplace prices 157 copies from $1.30 How does the rental process work?